Cynthia Rozzo created the free monthly publication, EAST COBBER, in 1993 to serve East Cobb County residents by providing a forum for them to share their ideas and a source for them to learn more about their community. Prior to establishing EAST COBBER, Cynthia Rozzo was the marketing/public relations manager for an educational publishing company. She has hands-on experience in all aspects of direct mail, advertising and publicity campaigns and also edited a corporate magazine and newsletter. 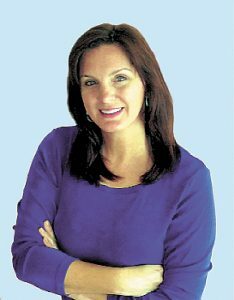 In addition to growing EAST COBBER online and in print, she produces the annual EAST COBBER Community Parade and Festival. Cynthia received a Masters in International Relations from the University of Kent in Canterbury, England. Her undergraduate degree in Public Administration was earned at Indiana University, Bloomington. An East Cobb County resident since 1991, Ms. Rozzo lives in the Park Ridge subdivision with her husband, George Haralabidis, and three children, Lee, Nikos, and Eleni. With over 80,000 households and 215,000 residents, “East Cobb” is defined within particular ZIP codes of Cobb County, Georgia: 30062, 30066, 30067, 30068, and 30075. It’s one of Atlanta’s most desirable communities! East Cobb residents are well-educated and affluent, having the highest median household income in Cobb County. East Cobb has the largest population under 17 years old in Cobb County and offers a variety of family-friendly activities. East Cobb has experienced the highest percentage of growth in Cobb County – and continues to be an attractive place to relocate! Residents lead active lifestyles, getting involved in schools & civics, churches & synagogues, and recreation & leisure.